Trump’s tax plan is "completely focused on the wealthy and the powerful - not the middle class." Does Trump's tax plan do nothing for low income earners? 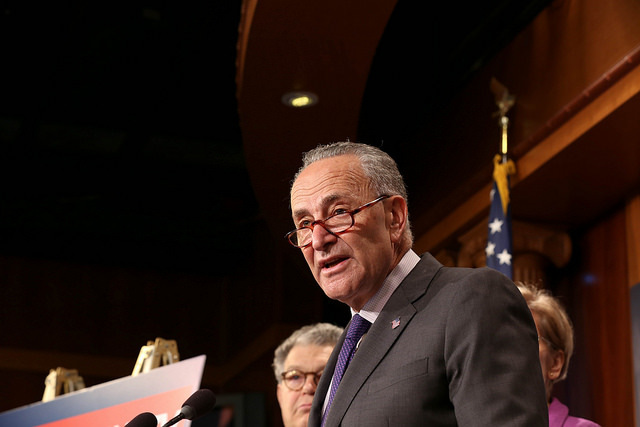 By Dan Clark on Sunday, October 8th, 2017 at 9:15 p.m.
Senate Democratic Leader Charles E. Schumer says President Donald Trump’s tax plan would raise the federal income tax rate for the country’s lowest earners while lowering it for the wealthy. Democrats oppose the plan, saying it benefits the rich over the poor. "It’s completely focused on the wealthy and the powerful - not the middle class," Schumer said on CBS’ Face the Nation. The plan’s framework is big on policy but scarce on details. So is Schumer right? Given the proposed changes to tax rates, brackets, deductions and tax credits, does the Trump plan focus only on the nation's wealthiest taxpayers? Trump’s tax plan would increase the lowest federal tax rate, but it also would increase the number of people who don’t have to pay federal income tax. The lowest earners currently have a federal income tax rate of 10 percent. Those are single filers who earn up to $9,325 and married couples who earn up to $18,650 in 2017. Trump’s tax plan would increase the lowest rate from 10 percent to 12 percent. The White House hasn’t said what income level would top out that bracket. People in the highest tax bracket would pay a lower rate. Single filers who make more than $418,400 and married filers who make more than $470,700 are currently taxed at 39.6 percent. That rate would decrease to 35 percent in Trump’s tax plan. Trump leaves open the possibility of adding a fourth tax bracket for the highest earners. Adding another bracket means the new tax code "does not shift the tax burden from high income to lower and middle income taxpayers," according to the plan. Details on what that bracket would look like were not in the plan. RELATED: Are Republicans paying for tax cuts with reductions in Medicare, Medicaid? More people in the lowest tax bracket would not have to pay federal income tax under Trump’s plan. Most low-income filers already pay no federal income tax because their deductions are more than their reported income. Filers who make less than their total deductions do not pay federal income tax. Two major deductions benefit low-income filers the most: the standard deduction and personal exemptions. The current standard deduction is $6,350 for single filers and $12,700 for married filers. Filers can itemize their deductions rather than taking the standard deduction. Personal exemptions allow filers to deduct $4,050 for each taxpayer and dependent they claim, including themselves. The two combined equal a deduction of $10,400 for a single filer without children in 2017. The amounts change each year. Trump’s plan would eliminate personal exemptions but double the standard deduction to $12,000 for single filers and $24,000 for married filers. That means any filer who earns less than those amounts would pay no federal income tax. Looked at in a different way, a single filer currently in the gap between $10,400 and $12,000 would no longer pay federal income tax. "The framework is basically taking the current 10 percent tax rate and increasing it to 12 but at the same time it’s effectively increasing the size of the zero tax bracket, at least initially," said Joseph Rosenberg, a senior research associate at the Urban-Brookings Tax Policy Center, a nonpartisan tax policy think tank. Trump’s plan would replace personal exemptions with a higher Child Tax Credit, which currently allows a $1,000 credit for each child claimed. A tax credit is different from a deduction. A credit is a dollar amount put toward a filer’s total return while a deduction reduces the amount of a filer’s taxable income. The Internal Revenue Service says a tax credit is always worth more than a deduction of the same amount. The new plan does not specify how much the credit would increase. Many of the tax changes would benefit high-income earners more than others, a report from the Tax Policy Center said. Some of the proposals, like ending the alternative minimum tax and estate tax, would benefit high-income earners disproportionately. About 80 percent of the total tax benefit would go to the top 1 percent of taxpayers by 2027, the report said. Their after-tax income would increase 8.7 percent. Taxpayers who make less than about $150,000 each year would see an average tax cut of half a percent or less by 2027 under the plan. Taxpayers who make between $150,000 and $300,000 would actually pay about $800 more on average in taxes. Taxes would increase for about a quarter of all taxpayers by 2027. The report estimates about a third of people making between $50,000 and $150,000 and close to two-thirds of people making between $150,000 and $300,000 would see a tax increase. The report partly attributes those increases to Trump’s plan to replace personal exemptions with a higher Child Tax Credit. Trading the deduction for a credit could leave larger low and middle income families worse off than the current tax code. That will depend on how much the Child Tax Credit increases under the Trump plan. Filers also would no longer be able to deduct state and local taxes from their federal taxes under the plan. That means residents in high tax states like New York could end up paying more in federal taxes. A report from Gov. Andrew M. Cuomo’s office estimates 3.3 million residents in New York would on average pay $5,300 more in federal income taxes if they were not able to deduct state and local taxes. More than three million of those residents make below $300,000, according to the report. About 1.8 million make less than $100,000. Schumer said Trump’s tax plan is "completely focused on the wealthy and the powerful - not the middle class." Granted, there are lots of details missing from Trump's tax plan. But the plan presented so far does deal with taxpayers who are not wealthy. So in a strict reading of his claim, Schumer is saying the Trump plan has no changes, positive or negative, for low- or middle-income taxpayers. That isn't the case. It's possible that by "completely focused" Schumer meant the Trump plan benefits only the wealthy and the powerful. But that also isn't completely true. While many of the plan’s proposals would benefit the wealthy, doubling the standard deduction would mean more of the country’s lowest earners would pay no federal income tax and taxpayers earning less than about $150,000 would see a tax cut. 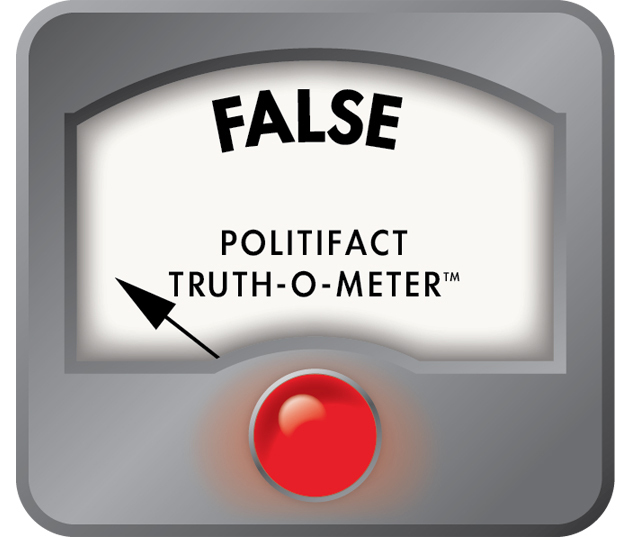 We rate Schumer's statement False. Published: Sunday, October 8th, 2017 at 9:15 p.m.